Dayton Ohio’s premier Self-Storage facility, conveniently located off Interstate 75. Armor Self-Storage is a state-of-the-art facility offering online services such as unit reservations, rentals, payments, and an upcoming digital security gate entry system. 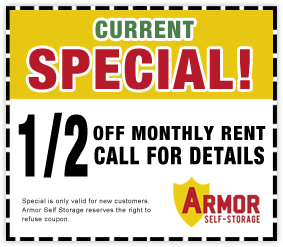 At Armor Self-Storage, we provide a secure, affordable and clean location to meet your business or personal storage needs. We offer a wide range of unit sizes, and outside parking spaces for vehicles, boats, and RVs. We encourage you to give us a call, or stop by to talk with one of our professional, courteous and friendly on-site managers, who will be able to assist you personally with meeting your storage needs, and answer any questions you may have. We look forward to your visit, and encourage you to browse through our website to find out more information about us. Copyright © 2011 Armor Self Storage. All Rights Reserved.